The CambridgeSoft Site Subscription program began back at the beginning of 2004. The idea was to give blanket access to the latest version of CambridgeSoft software to all individuals at subscribing institutions, at an affordable cost. 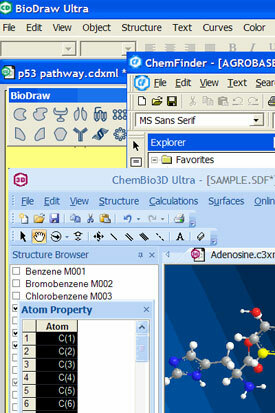 For fifteen years prior, since the first release of ChemDraw, students, faculty and purchasing agents were accustomed to ordering individual copies of the software on an as needed basis. Adopting the idea of making a single, annual purchase for an entire university was slow to develop at first but is now the most popular means of delivering ChemBioOffice and ChemBioDraw. As we enter the sixth year of the program, the number of Site Subscriptions at academic institutions is growing rapidly, particularly at top ranked universities.